This 2' RG-58 cable has an N-Male connector on one side and an FME-Female connector on the other. This cable is typically used as a "jumper" cable to connect a splitter or lightning surge protector to an amplifier with an FME/Male connector. 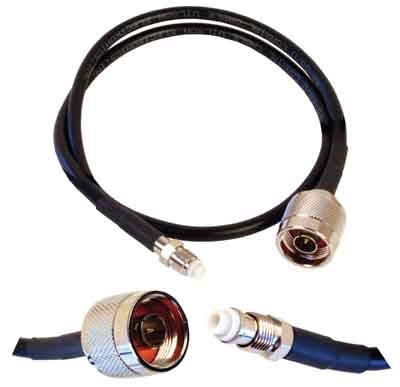 If you are looking for a cable to connect a splitter or surge protector to an amplifier with an N/Female connector, you will need the 952302 cable instead (which has N/Male connectors on both sides). To prevent excessive signal loss, this cable should NOT be daisy chained with other cables! It is always better to use one longer piece of cable than to screw two shorter cables together.